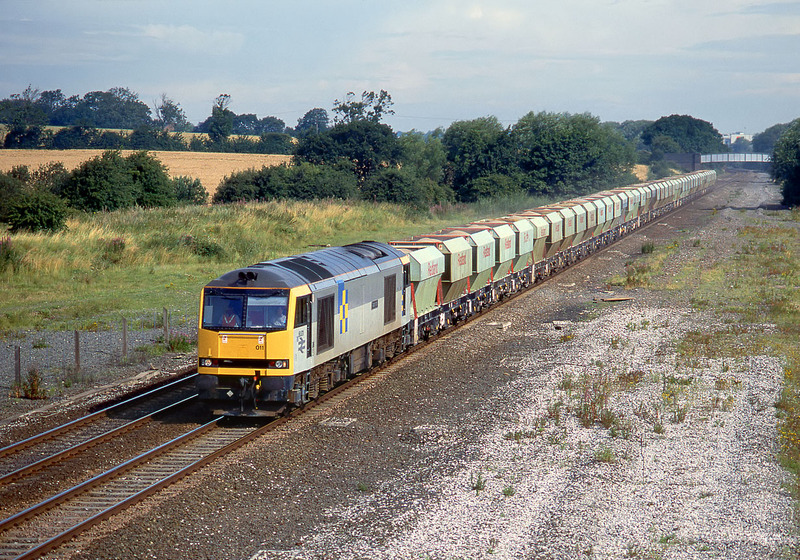 60011 Cader Idris passes Finedon with the 6C31 08:37 Mountsorrel to Radlett Redland stone train on 1 August 1992. This is the site of Finedon station, which surprisingly closed to passengers as early as 1940, although it remained opened for freight until 1964. The spacious track formation here indicates the site of the former relief lines.